Here comes the Happy Stork: Pregnancy Support app for Android, courtesy of amane factory inc. , a bunch of the nicest people in the world if you ask me. I’m not “just sayin'” that, I am that kind of guy who considers pregnancy and child birth as a one in a lifetime experience, both for the mother and the father. And an Android app that helps the parents to get through in this intricate type of “job” is welcomed in my book. 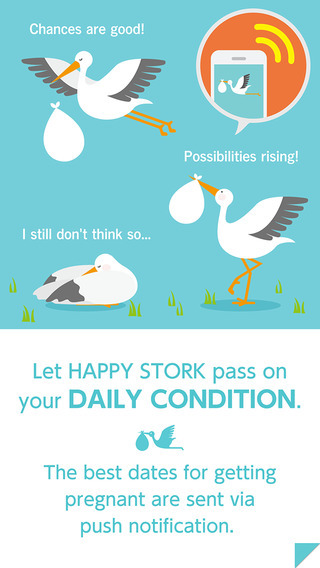 So, let’s begin with the basic question : What is this Happy Stork :Pregnancy Support app all about? What’s up with that? 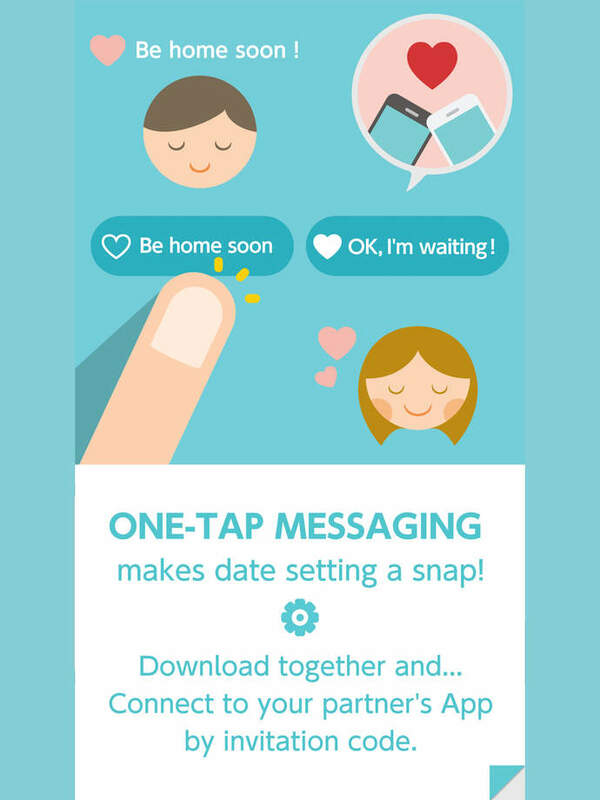 Well, to put it simply, this app will work just like an interface with Artificial Intelligence between you and your partner (and not only that, stick around! 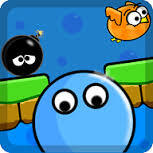 ), keeping you both informed about developments and the mother’s daily condition. Basically, this App works like a calendar, an electronic “post it”, a messaging device and as an adviser when it comes to estimating the optimum times for trying to get pregnant. Yes, the Pregnancy Support app will make precise estimations based on your biological rhythm of the best days for conceiving a child. These educate estimations are based on your menstruation (the app estimates the moment when ovulation takes place following info such as your basal body temperature) i.e. your period days&cycle. Also, the app can suggest you the best days for gender selection (rough estimates actually). Using the pregnancy support app, communication and synchronization between partners becomes a “child’s play”, for example your husband will know about the best “inception days” in advance without your input, the app will whisper in his ear in advance and Nokia’s slogan “connecting people” will become a reality with just a touch of a button. I’m telling you that because the Happy stork app uses two buttons, “I’m coming home” and “I’m waiting” that will help with coordinating your schedules in the simplest way imaginable, with just a tap of your fingers. 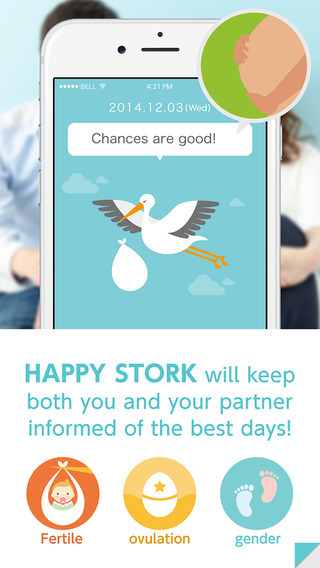 You should consider downloading and using the Happy Stork :Pregnancy Support app if you have a “tight” schedule and you need to coordinate with your partner precisely for pinpoint accuracy (Read ovulating days), if you’re the “shy” kind of person and you don’t enjoy telling “everything” face to face (Again, read ovulating days), if you’re having irregular periods (once again, the apps helps a lot in this case with managing your ovulating days), if you’re considering a precise gender selection, if you tend to forget your ovulation days, if you’re planning a pregnancy/struggle with infertility etc. All these things/issues are addressed with the features from within the app itself : the Ogjno method is used to calculate/predict your best days (as in fertile, when ovulation occurs) and it works based on your inputs (your menstrual cycle info), the BBT management functionality also works based on your input body temp and it generates an info-graphic, sending automatically to your partner for accurate pregnancy timing (like “come home, now it’s the time”), you got the general idea. Just go to Google Play Store, download and install the app and thank me later. 888 Poker App – if you are missing it download it now!